Its entrance is 339 m above sea level. Two sightseeing routes are available for visitors; the longer one of them, 1,180 m long, takes 60 minutes and the shorter, 780 metres long route takes 45 minutes. Part of the visit is the trip on a boat on the underground river Styx. Although it was discovered in 1926, it is accessible only from 1932. Domica is famous for its spacious domes, for instance Majkov dóm with cascaded lakes called the Roman Baths. 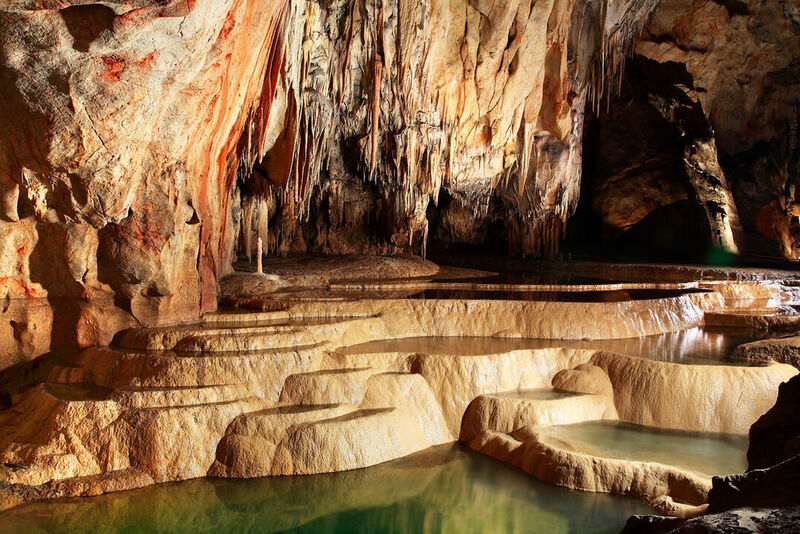 It boasts abundant dripstone ornamentation with little lakes, onion-shaped stalactites and pagoda-shaped stalagmites. The interesting thing about this cave is that there live about 1,500 individuals of 16 different species of bats. Film-makers made use of the natural beauty of the cave to shot the film version of fairy tale by Pavol Dobšinský, Salt above Gold. 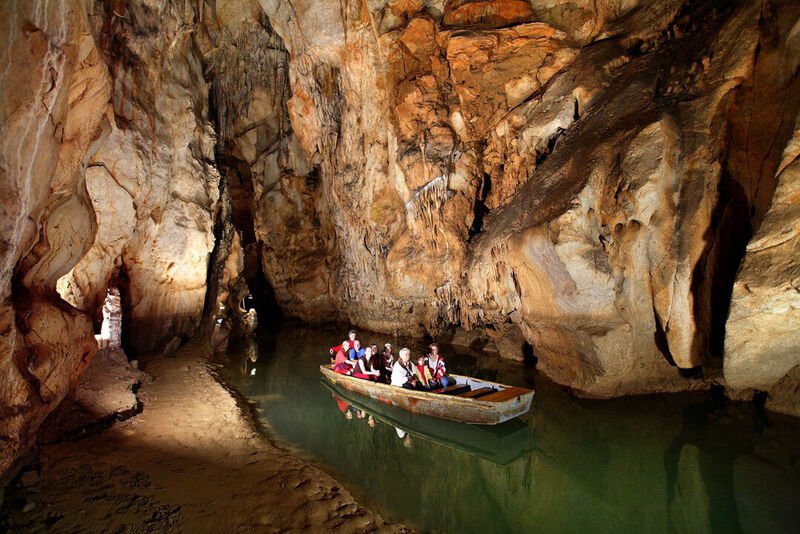 The cave is part of the largest cave system along with the Baradla cave in Hungarian territory with total length of 25 kilometres. Otváracie hodiny sa každoročne líšia. Aktuálne otváracie hodiny sú dostupné na www.ssj.sk.